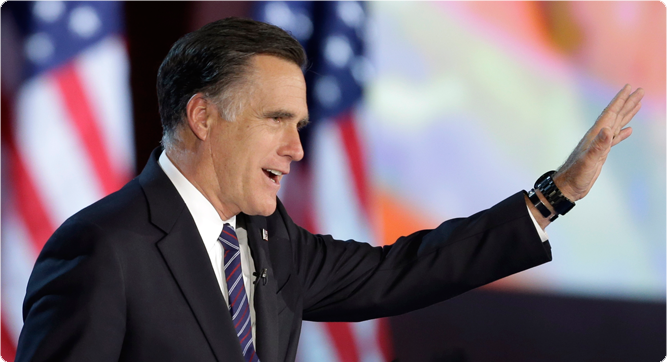 While alum Mitt Romney's rise in public life fell just short of the White House, his campaign turned the spotlight on his faith—and on BYU. See photos of his journey and hear professors' insights on this "Mormon moment." Psych professor Ross Flom has used Beethoven, dogs, and monkeys to study babies. See what he's found—and what happens when you invite six babies to a photo shoot. Watch the no. 4 women's soccer team react to its no. 1 seed in the NCAA tournament—the highest seeding ever of a BYU women's team. See the top 10 plays of the season. A BYU team has debunked the idea that 95 percent of our DNA is useless. Find out how much of the A's, C's, G's, and T's in your DNA play an important role. Meet BYU's Homecoming honorees, including a Les Mis star, the 2006 National Parents of the Year, alumni who serve the needy and disabled worldwide, and others. The new mission-age announcement has campus buzzing. What was it like when you got your call to serve? Take our mission poll and be entered in a drawing to win a flag T-shirt or an MTC Cookie Gram from the BYU Bookstore. Send comments and questions to byutoday@byu.edu. To unsubscribe or change your address, write to byutodaylist@byu.edu.